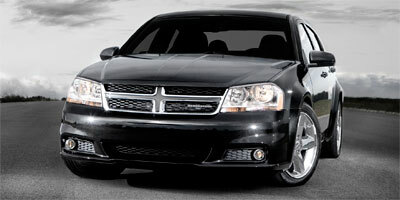 The 2013 Dodge Avenger is a five-passenger midsize sedan that carries over into 2013 virtually unchanged. While the Avenger received a significant refresh in 2011, its last full redesign was in 2008, leaving today’s Avenger trailing most competitors in this hotly-contested segment. Where the Avenger stands out is in price and its available V6 engine. That may not be enough to outweigh its shortcomings. To say that members of the automotive press who make their living reviewing cars are mostly underwhelmed with the 2013 Dodge Avenger is not to say that the midsize sedan doesn’t have some good points. Kelley Blue Book says the Dodge Avenger might appeal to those who desire a car “whose looks portray swagger but you can’t pony up to a Dodge Charger,” but others won’t like Avenger’s so-so fuel economy and poor resale values. While there aren’t too many owner reviews of the 2013 Dodge Avenger (after all, it is mostly carryover from last year), the ones who have posted comments on various sites are mostly positive. Read the full review for the 2013 Dodge Avenger.